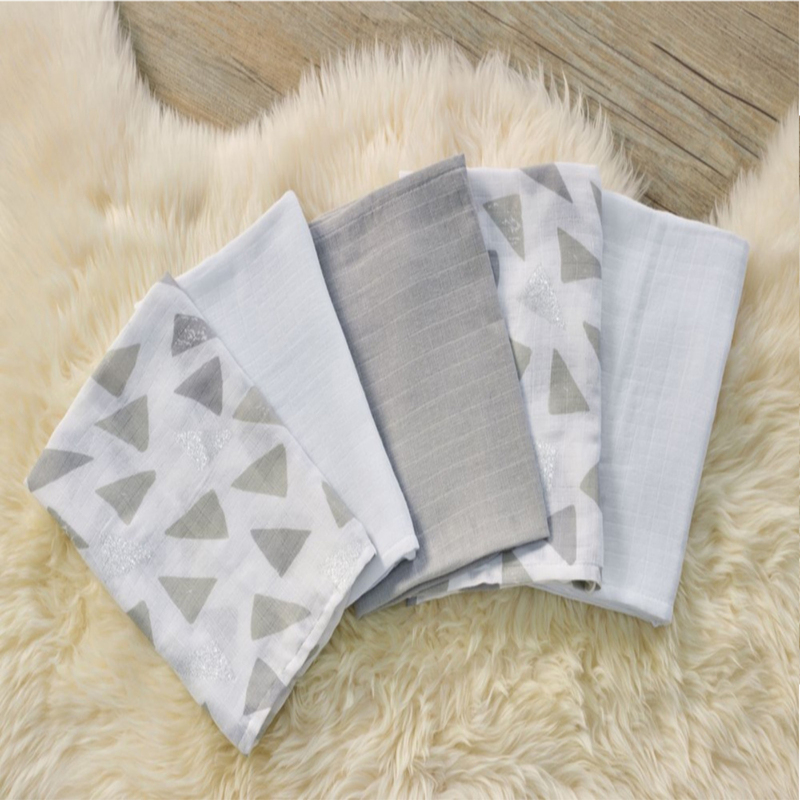 Due to their versatile nature, Muslin Squares are one of the most useful items to have when looking after a baby. 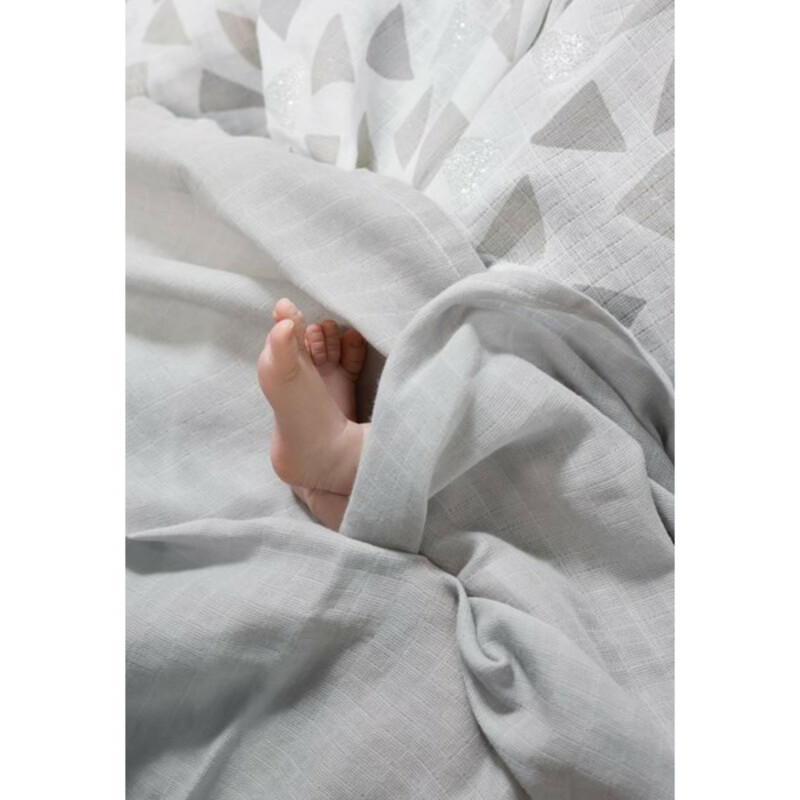 Whether for mopping up mess or for using as a privacy cover, the Clair De Lune Muslin Squares are made from 100% cotton, are naturally breathable, machine washable and are soft against baby’s delicate skin. 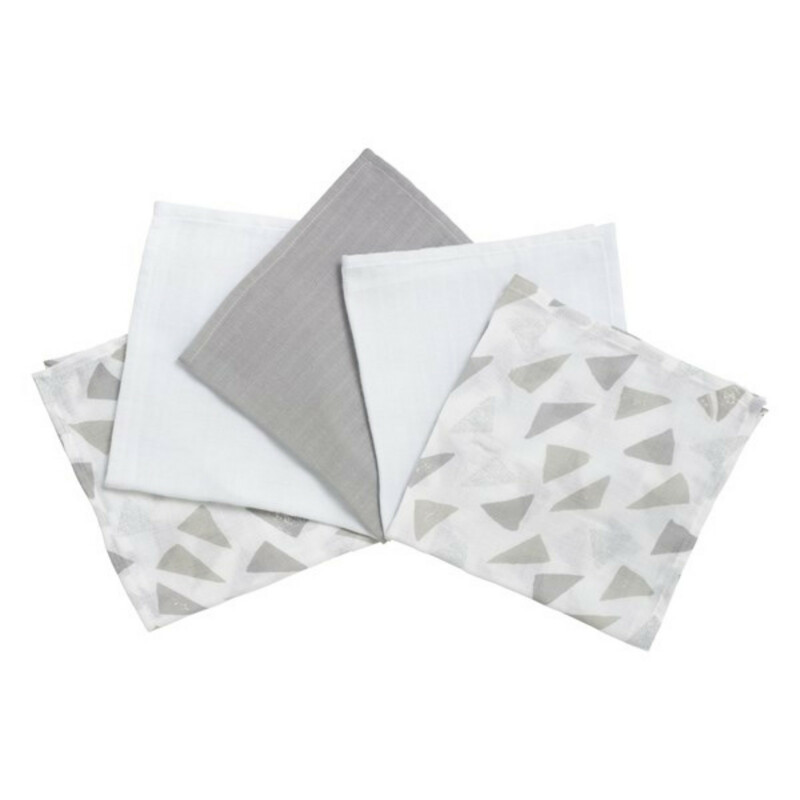 Handmade in the UK, the pack contains a selection of white, grey and Sparkling Geo-triangle print muslins. It’s open weave allows for excellent airflow allowing your little one to stay comfortable whatever you choose to do with them.